Chin Surgery or Mentoplasty – the medical term for this procedure, is a term that encompasses two different kinds of plastic surgery that you can have on your chin. The two types of surgeries are a chin reduction and a chin augmentation. These are two very different procedures as one makes the chin larger and more prominent, while the other is used to reduce the size and the prominence of the chin. Chin reduction surgery is focused on the individual who has a chin that protrudes more than the average chin. Chins that are more prominent can affect the entire facial shape and when looking from the side of the face, the shape of the face can resemble a moon crescent. Some individuals become extremely upset about the shape of their chin and this can lead to a lack of self-confidence producing self-esteem issues. The complete opposite of this procedure is referred to as chin augmentation, which can be described as a surgical process whereby the chin is made more prominent using the help of a ‘chin implant’. Having a small or weak chin or virtually no chin, can again result in the same effects that the individuals who have a larger chin suffer with – low self-esteem and a lack of confidence. Having a chin reduction can give these individuals a new lease of life, and can improve the individual’s profile by making the nose and the overbite noticeably smaller, creating an overall harmony and balance of the face, especially in profile. The chin reduction procedure is done by removing some of the chin bone and some of the surrounding chin muscle. The surgeon makes the incision inside the mouth, with means that the scar is not visible at all. Some of the muscle and fatty tissue is removed and the jawbone is broken in many places. The surgeon then rebuilds the broken bone and fuses it in a new position with is smaller and less prominent than the original chin. The incision is then sutured up inside the mouth and the surgery is complete. When having the chin implant surgery, this can be done by building the chin on the foundation of your bone structure that already exists. Again, the incision is made inside the mouth so that scars are not visible and a space is made for the implant. The implant is then placed beneath the skin in the jaw. If the individual needs a larger implant that cannot be placed through the incision in the mouth, then an incision would be made under the chin to make a larger space for the implant to go through. Once the implant is secured, then the incision can be stitched up using dissolvable sutures. Not only does the implant help to increase the prominence of the chin, it can also help define the contours of your chin. There are some individuals who seek this plastic surgery in order to enhance their chiseled features, especially models and actors. The chin implant can help to balance out the features of the face and to create a symmetrical proportional face, which is what a number of men and women desire, especially if modeling is a career option. 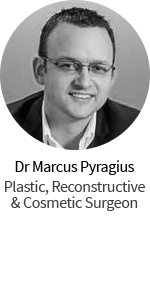 The chin enhancement procedure usually takes around two to three hours, however it does depend on the surgeon, as it can be a complex procedure. 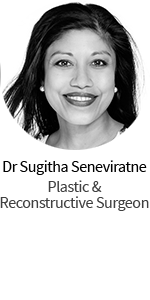 As these are relatively serious procedures – especially the chin reduction surgery, there can be a long recovery time as you not only have to recover from the general anesthetic but the broken bones within the chin area need to heal. As with all procedures conducted under general anaesthetic, there are a number of risks and complications that could arise from the anaesthetic. These risks and complications will be discussed with you not only in the consultation with your surgeon, but also just before you go down to theatre. These risks include; reactions to the anaesthetic, suppressed breathing, blood clots in the lungs, blood clots in the legs, heart failure and even death. Approximately one-third of patients who receive an anaesthetic during surgery will experience “anaesthesia sickness” or post-operative nausea and vomiting (POVN). The risks and complications associated with these procedures themselves can include infection. Infection is not a common complication however, if the incision is made within the mouth, it can hold a large amount of bacteria which can get into the incision site. If an infection does occur, then this can be treated with a course of antibiotics. If you have an infection after having the implant surgery, then this could result in serious consequences. If the infection does not clear up after having a course of antibiotics, this can cause scar tissue to grow around the implant which can consequently cause the stricture of the implant and this pressure can cause the implant to change shape, which can affect the overall appearance. This can result in the implant having to be removed. Infection can also be very painful so ensure that you speak to your surgeon if you begin feeling more pain than would reasonably be expected. Scar separation is another complication that can arise with both of these types of surgeries. If the incision was made in the mouth, this is not the perfect environment for healing as it is always moist within the mouth and this can cause the stitches to dissolve without healing the incision. If this does arise then the surgeon will find a new way in which to seal up the incision site. If the scar is made under the chin, even though the surrounding skin is dry, wound separation can also occur as there is a lot of movement in that area and this can cause the wound to separate. If this does happen, the surgeon may suggest having staples inserted to hold the wound together during the healing process. Q. How long is the recovery time estimated for both of these procedures? A. As both the procedures are relatively serious, the recovery process can be quite long. You may notice bruising and swelling in the jaw area. You will most likely be recuperating for several days and even for the first three weeks to a month. The overall recovery time can take up to three to six months. Q. What are the benefits of undergoing these procedures? A. The benefits of these procedures include; tightened skin, loss of wrinkles, improved shape of the chin and entire jaw area as well as emphasis of chiseled features and an improved harmony and balance of the face. The results can happily be a dramatic improvement to your appearance.